Rewilding may have the potential to drastically improve biodiversity but remains a highly controversial and divisive topic. A new book edited by scientists from ZSL (Zoological Society of London) and Utah State University aims to build common ground and show how rewilding can foster human coexistence with wildlife. Published by the British Ecological Society and Cambridge University Press, Rewilding brings together, for the first time, experts from around the world to discuss the benefits and dangers of rewilding approaches. The volume introduces key definitions and approaches to rewilding, highlighting similarities and differences between them and discussing how they may work in practice. The editors hope the book will help readers appreciate how rewilding can be more than a purely ecological concept. Socioeconomic, cultural, psychological and political dimensions will all affect the ultimate success of any rewilding intervention. “Previous approaches to conservation have been dominated by the establishment and maintenance of wilderness, a western concept that can ultimately separate nature from people”, commented Pettorelli. Covering issues such as the benefits to human wellbeing, rewilding cities and the translocation of species, one chapter explores what rewilding means in a British context. Britain – with its dense population, few forests, and none of the large carnivores commonly associated with rewilding – might not seem the most obvious place for rewilding. 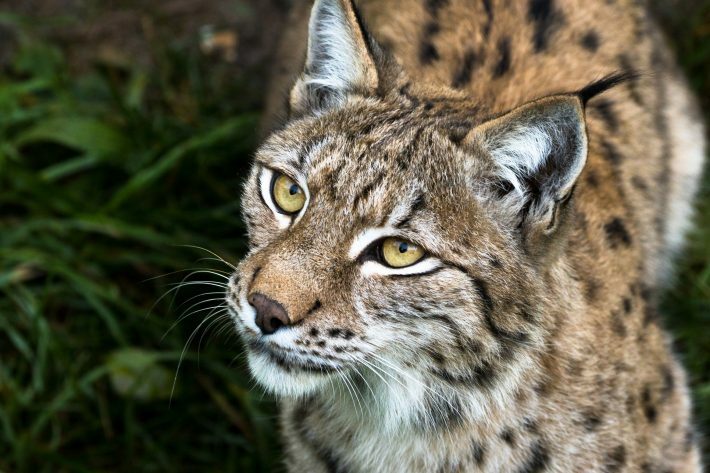 Yet rewilding is increasingly attracting the attention of the public and professionals, not only in connection with Brexit, which has been noted as a window of opportunity to manage land differently. The book describes how moving forward on rewilding will require consensus building and understanding of different opinions to foster human-wildlife coexistence. The book’s interdisciplinary nature will appeal to a broad range of readers, from ecologists and conservation biologists to land managers, policymakers and practitioners in NGOs and government departments. Written for a scientifically literate readership, it also acts as a key resource for advanced undergraduate and graduate courses. 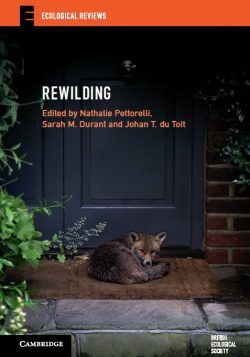 Rewilding, edited by Nathalie Pettorelli, Sarah M. Durant and Johan T. du Toit, is published on 31 January 2019. The book is part of the British Ecological Society’s ‘Ecological Reviews’ series published with Cambridge University Press, which aims to be a source of ideas and inspiration for ecologists at all career levels. It is available for purchase here (£37.99 for paperback, ISBN 9781108460125).